!Hola¡ Mexican food is one of our favourites for sure. With bold flavours, contrasting textures, fresh herbs and a spicy kick it's what dreams are made of. But we’re talking the real deal here—none of the mountains of corn chips topped with a can of beans, some mince and melted plastic cheese called “nachos”. Instead, we’re talking tacos, tortillas, quesadillas, tostadas and of course, a margarita thrown in here and there for good measure. 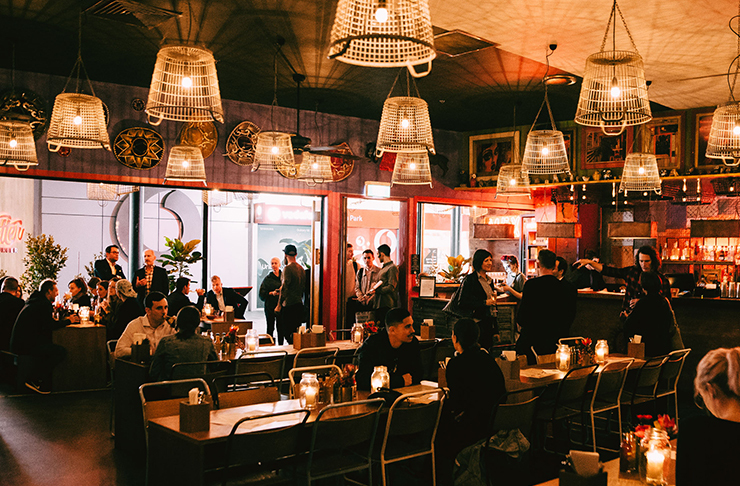 There’s some seriously good Mexican to be had around Auckland, read on to see our favourites. For the most authentic Mexican experience in the city, there is no one better than Mexican Specialities. 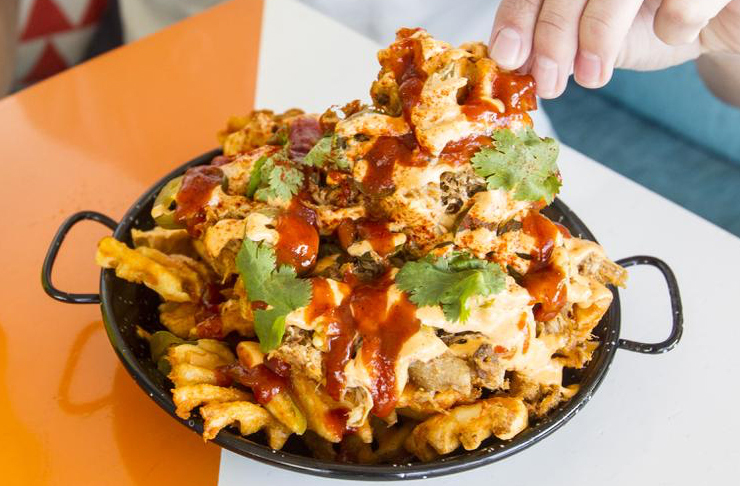 Sitting in an unassuming cluster of shops in Ellerslie, you may be dubious of the quality you’ll receive until you see the crowds and regular locals floating in and out to pick up takeaway containers full of quesadillas, enchiladas, bags of homemade corn chips and various hot sauces. Speaking of hot sauces, these guys sell perhaps the most impressive array of bottled fire outside of Latin America. You know it’s a good Mexican restaurant when there is complimentary salsa and corn chips which means Dos Amigos Cantina is legit. This restaurant located in Mission Bay is always bustling with people which totally gives off a fiesta vibe. These guys serve up some of the tastiest, cheesiest nachos in town with a generous amount of everything from chips, sour cream, beans and guacamole. There’s nothing worse than a plate of nachos that go heavy on the chips but light on the condiments and toppings! Dos Amigos Cantina also have a chilli chocolate brownie that is not to be missed so be sure to save room for dessert. When Auckland was crying out for trucking good tacos, it was Sarah and Otis to the rescue with their food truck The Lucky Taco. Offering up some of the best tacos you ever did get your gob around, with flavours ranging from spicy fish, pulled pork and the don of hangover cures; spicy chorizo with fried egg. They roam around various locations including their home base on Ponsonby Road throughout the week—see their website to track them down. If you can’t quite rendezvous with these taco gods, they have also just released taco kits to recreate the goods at home, available from Farro Fresh and Nosh. If “the best Mexican food” in your mind equates to margaritas, you’ll be delighted with this little Britomart drinking mecca. With six flavours on offer, choosing can be a chore but try the tamarind for a tangy start to tomorrow’s hangover. Frida takes liberal inspiration from the OG eyebrow senorita, offers solid Mexican food and those fabulous dranks. Food-wise, go for the tiger prawn tostdas and Mexican street corn with mayo, chilli and cheese for the perfect drinking companions. For a Mexican fix in the Eastern ’burbs, look no further than Half Moon Bay’s bright and cheerful Marina Cantina. Operating from the much-loved Grangers restaurant, the friendly amigos here serve delish Mexican eats. Think spiced brisket nachos, ensaladas (a.k.a. salads), tacos and Mexican-esque loaded fries (umm yum!). No Mexican meal is complete without churros and you’ll be pleased to know Marina Cantina serve ’em up in exceptional style. Take in views of the marina as you wash your meal down with one of their on-tap margaritas or opt for a shot of tequila instead—yolo! In a restaurant scene that changes more often than the mental state of a child actor, old stalwarts are often overlooked. But don’t fall into that trap of forever searching out the next best thing —Mexican Café is case and point. The food is far from fancy and it’s kitschy, verging on cringe, but in the best way possible. It only adds to the superb atmosphere and the hoards of people who flock to this little Victoria St institution week in, week out. With an extensive $10 lunch and $15 dinner menus this is one to keep in mind when pay day feels like a distant memory. Yeah it’s a chain, but it’s the least “chainy” of the other Mexican chains dotted around the city. The food is seriously delish and the changing menu hits the mark when it comes to mixing things up with new flavours and seasonal produce, while keeping the old crowd favourites. Speaking of, it may not be the most authentic dish on the menu, but that Mexican fried chicken…we’re not quite sure what about it is Mexican but that cult following didn’t come about for no reason. For a more authentic experience, the chimichangas are great, as are the ever popular baja fish tacos. To finish, it wouldn’t be a visit to Mexico without indulging in those crispy churros with chocolate and salted caramel. Our pick of the locations has to be the original in Britomart for the perfect post-work watering hole. Another oldie, but certainly a goodie is Little Mexico Cantina. It’s actually rather hard to discern the differences between main menu items; most consisting of your choice of meat or seafood encased in a tortilla or taco of some description with generous amounts of cheese, pico de gallo, sour cream and guacamole. Don’t fret for too long, everything’s a solid bet but it’s the lesser known enfrijoladas which keep us coming back. Similar to enchiladas but smothered in refried beans rather than a simple source, this dish will fill even the biggest of appetites. The rustic interior covered in murals, gives this a well-worn but equally well-loved atmosphere. Ah Elliott Stables, the don of inner city food courts, offers a much higher level of quality and service than the fezzy places which are much more hit-and-miss. There’s little at Elliott Stables that will disappoint and for some seriously good Mexican fare you wont be disappointed by Besos Latinos. For a casual midweek Mexican meal, the baja shrimp or fish tacos are top choice, and the Mexican lime soup with shredded chicken and crispy pieces of tortilla is somewhat of a revelation for those of us that think Mexican equals food baby. But, if the appetite permits why not go all out and have a serious Mexican fiesta – check out their massive Holy Guacamole to share and colossal foot long “Machete” handmade tacos. Fajitas, tacos, burritos, quesadillas, the list goes on and on and The Flying Burrito Brothers do a smashing job at every single one. Their fruit margaritas are known amongst Aucklanders for being damn fresh and tasty with summery flavours like guava and passionfruit. Make sure you order the queso dip to start for pure Mexican flavours and authenticity. When it comes to desserts, they take things to another level and offer some dishes that no other Mexican restaurant in Auckland does. The Dulce Quesadillas are like a Mexican s’mores with melted chocolate, marshmallows and cream cheese, topped off with tequila infused berries and ice-cream.